Herbs are very tasteful ingredients for many dishes that we're cooking day by day. But there is a whole lot more you can do with the delicate and aromatic leaves and stems than seasoning your food. 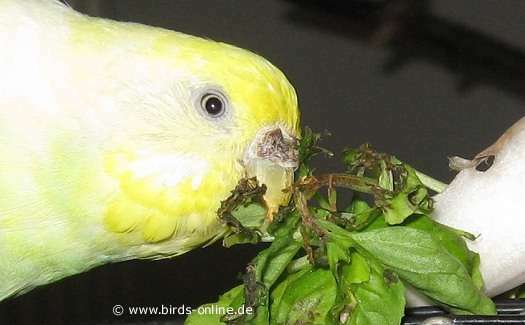 Many birds also love to eat fresh herbs. And some of these plants have a positive effect on your bird's health because they're natural remedies. 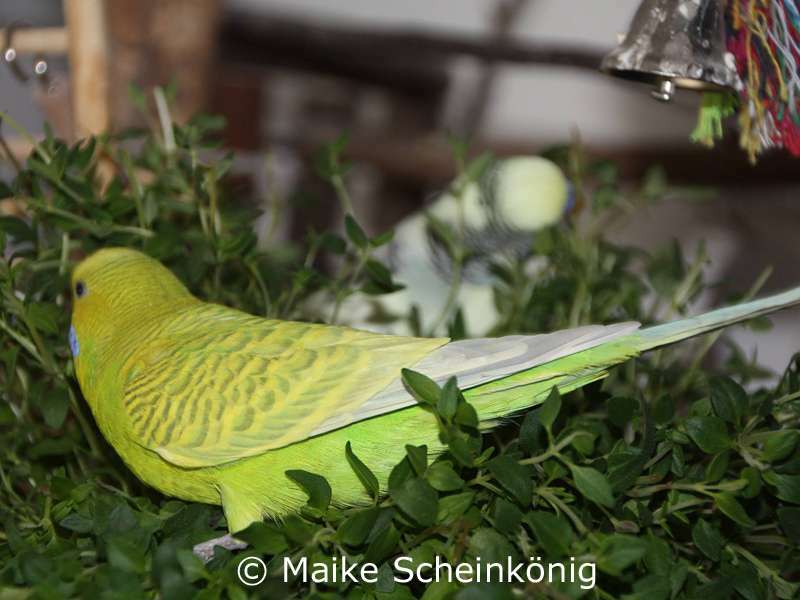 In this chapter you can find a list of herbs that are edible for pet birds. * Many people claim that parsley is toxic for birds. It's true that it contains substances that are poisonous in high doses. But both of these potentially dangerous substances can only be found in parsley in very small doses. If you serve only small quantities of parsley to your pet birds this food will not harm them in any way. But please make sure that your birds don't suffer from a lack of calcium since parsley contains substances that bind calcium. If birds who suffer from a lack of this mineral eat too much parsley their health problem could become even worse. 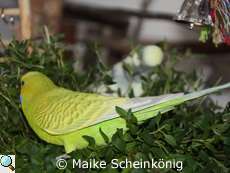 ** Most birds must get used to the very aromatic herbs at first. But in most cases after a while they love to nibble from these plants. But please do only serve small quantities of those herbs to your birds because these plants contain a lot of essential oils that could irritate the bird's mucosa in their crop or digestive tract. Do you think there is any sort of fresh herbs missing on this page? If so, please feel free to drop me a line. Thank you!